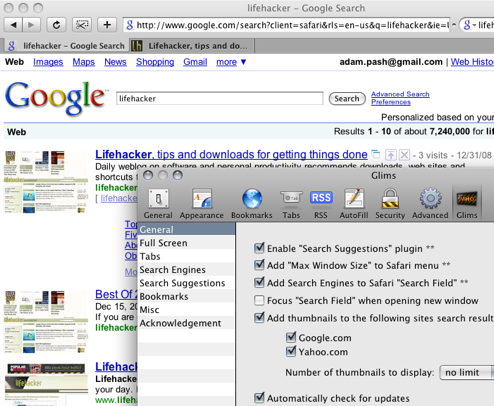 Mac OS X only: Free Safari plug-in Glims adds a handful of new features to Safari, giving it the kind of features one might expect from a more customisable browser. So while Safari is certainly worth using if all you need is a very capable, fast browser, Glims adds a little frosting to the already competent cake that is Safari. Glims is a free beta download, Mac OS X only.